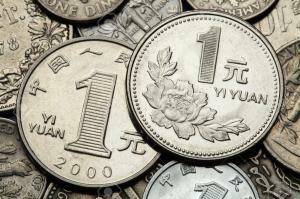 A man in China has bought a new car from a dealership using just coins, 680,000 of them to be precise. The car buyer, who has been identified as Mr Gan, saved up one yuan coins (worth 0.1p) before taking them all to the dealership in Liaoning province, east China. The exact car he bought has not been revealed, but it is reported to have been worth £70,000. As well as a lot of patience, car dealerships will need to a motor trade insurance policy in place to deal with cash payments. While these are increasingly rare, it is important that a combined motor trade insurance policy includes cover for the money that is stored within safes or tills on the business' premises. Mr Gan revealed that the purchase was not actually for himself, rather it was to be a new company car. He explained that the petrol station where he works had amassed a small fortune in tiny denominations through tips from customers and the company decided to use this to fund the new vehicle. The buyer explained: "As our station is in the suburbs, there are very few banks. So we didn't deposit the coins and decided to use them to buy a car for our company." The car dealership was warned about the acquisition in advance and the coins themselves were neatly wrapped in 1,320 small packages. However, it still posed logistical challenges, with the collection of coins taking up four metres of floor space in the showroom and 10 hours of employees' time to count it all.